Jason Mittell is Professor of Film & Media Culture and American Studies at Middlebury College. He arrived at Middlebury in 2002 after two years teaching at Georgia State University. He received a B.A. from Oberlin College and a Ph.D. from University of Wisconsin - Madison. He is the author of Genre and Television: From Cop Shows to Cartoons in American Culture, (Routledge, 2004), Television and American Culture (Oxford University Press, 2010), Complex Television: The Poetics of Contemporary Television Storytelling (NYU Press, 2015), and Narrative Theory and ADAPTATION. (Bloomsbury, 2017), co-author with Christian Keathley of The Videographic Essay (caboose books, 2016), and the co-editor of How to Watch Television (NYU Press, 2013). He maintains the blog Just TV. His research interests include television history and criticism, media and cultural history, narrative theory, genre theory, videographic criticis, animation and children’s media, videogames, digital humanities, and new media studies & technological convergence. He was a founding member of the Public Policy Committee for the Society for Cinema & Media Studies, and is actively involved in advocating for fair use rights in education and media. He is Project Manager for [in]Transition, a journal of videographic criticism, and co-lead of the NEH-sponsored digital humanities workshop "Scholarship in Sound & Image" in 2015, 2017, and 2018, focused on producing video-based scholarly criticism. See his CV for more details, or his scholarly writings for downloadable content. Since Fall 2014, Professor Mittell has been the Faculty Director of Middlebury's Digital Liberal Arts Initiative, a program funded by the Mellon Foundation to expand the use of digital tools and methods across the curriculum and help faculty innovate in their research and creative work. In the 2011-12 academic year, he was a visiting fellow at the Lichtenberg-Kolleg at the University of Göttingen, Germany, collaborating with colleagues on the Popular Seriality research initiative. Guidelines for submitting proposals are available on the Film & Media Culture web site along with a list of prerequisites. During the first term of their senior year, students with a GPA of A- in film and media culture courses may apply to undertake a senior project (FMMC 0707) for honors, with the project to be completed the last term of the senior year. Narrative Theory and ADAPTATION. (Bloomsbury, 2017). The Videographic Essay: Criticism in Sound and Image, co-authored with Christian Keathley (caboose books, 2016). 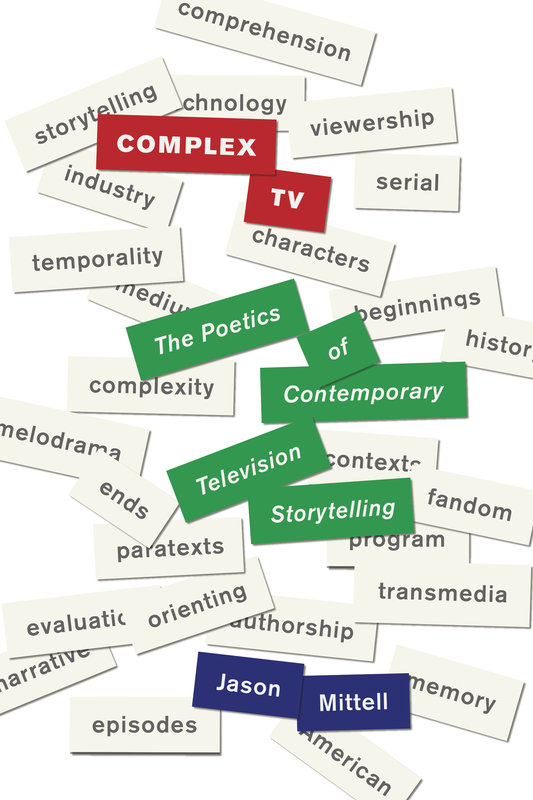 Complex TV: The Poetics of Contemporary Television Storytelling (New York University Press, 2015). Television and American Culture (Oxford University Press, 2010). “Adaptation.’s Anomalies,” [in]Transition 3.1 (March 2016) – videographic essay.